You’re playing a 9 seated sit-and-go tournament in the early stages. You are holding QQ and you raise in position against one called. 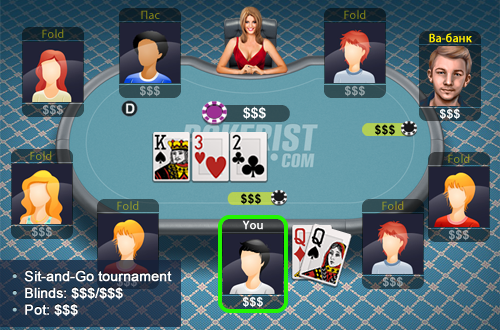 The flop comes K32 your opponent checks and you bet ¾ the pot, Your opponent re-raises all in.